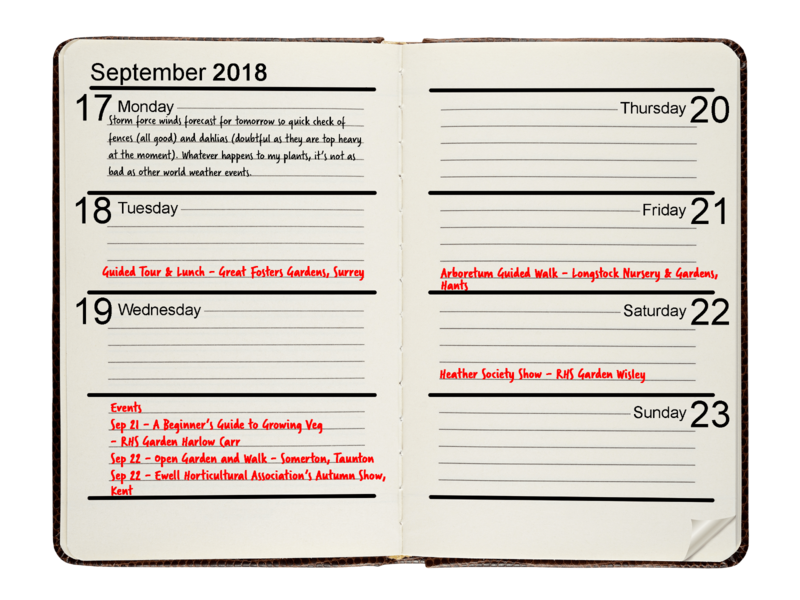 Our garden expert, Phil McCann, keeps us informed about what he's been up to each week in his garden, through his Gardener's Diary. From how he deals with the weather to keeping an eye on that bird food thief, keep up to date with Phil and his gardening right here. He'll also let us know about the gardening events going on around the country, so check to see what's happening near you this week. Keep an eye out, you may spot Phil there too! Visit our Help & Advice section for top tips on what you should be doing in your garden this September.